CULLMAN – Around this time of year, many high school students get to experience a rite of passage: senior prom. It's a night where teenagers get the opportunity to spend quality time with their friends and dates and let loose on the dance floor. 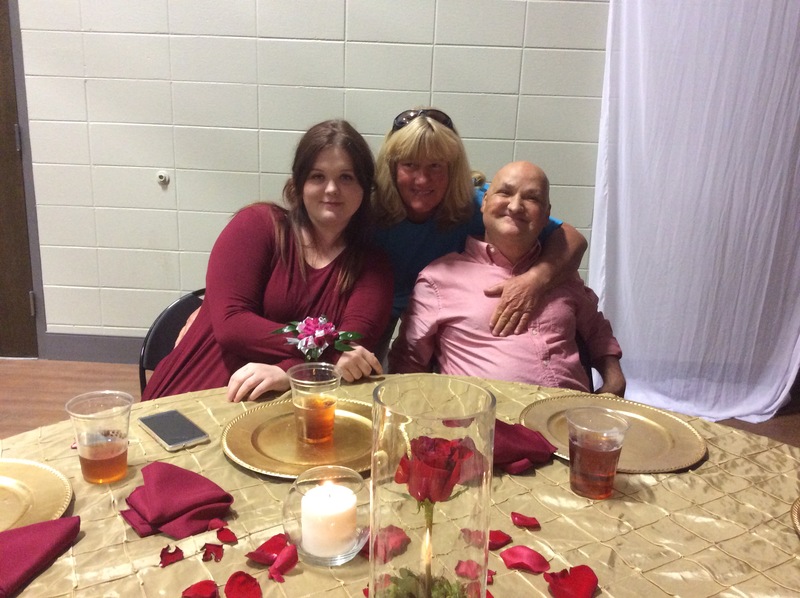 However, this night of fun isn't limited to high schoolers; working with the Pilot Club of Cullman, Waid Harbison and the Cullman City Parks and Recreation Department’s Therapeutic Recreation program organized a prom night for people of all ages with disabilities and other special needs. When the doors opened Tuesday evening, attendees were brought into an enchanting ballroom inspired by Disney's “Beauty and the Beast.” Tables were set around the room with an empty dancing space in the middle, and along the room's edges were trays of food made and served by the ladies of the Pilot Club. The ladies treated the guests to baked chicken, green beans, creamy mashed potatoes and dinner rolls, as well as salad and choices of cookies or cupcakes for dessert. As dinner wound down and it looked like most people were finishing up, the music changed from a run-through of the “Beauty and the Beast” soundtrack to songs made for dancing. At first, only a few people got up, but by the end of the second song most of the 100 in attendance were up and moving with their friends and families. One guest offered her thoughts on the night. Dana Dunagan came to the prom for her friends, Greg "Pooh" Owen and Erica Kilpatrick. The Good Hope resident shared that she appreciates how functions like this give people with special needs something that they can look forward to. "It gives my buddy, gives all these people, the chance to do something fun," said Dunagan. Harbison, who organized the event for CP&R, said that with every Therapeutic Recreation event the department coordinates, they try to cater to most people's needs so guests can have more fun without worrying as much about accommodation. "They can come here, and they can feel like they've got a network of support," he said. With plans in the works for the event to become an annual affair, the prom will be joining the growing list of special needs events held in Cullman County to help people of all ages with any type of disability meet other people like them and have a fun day or night without fretting over making special arrangements. Learn more about CP&R’s Therapeutic Recreation program and events at http://cullmanrecreation.org/programs-events/therapeutic-recreation.